If you’ve tried surfing in the UK and you fancy a trip to one of the most iconic surf venues in the world then this is for you. 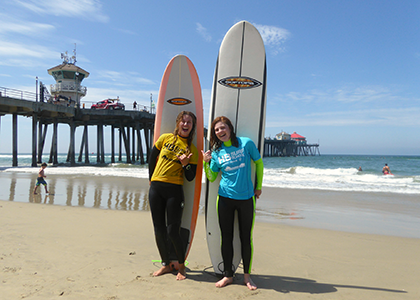 Patricia Carswell reports from the waves of Huntington Beach, California. Hot white sand, blue skies, and tanned, toned bodies – Huntington Beach, known to many as the beach on the Hollister webcam – embodies the California surf lifestyle like nowhere else. In fact, it’s so different from the chilly, grey-skied surfing I’ve done in Wales and Cornwall that for years I pretty much ruled it out as a holiday destination. 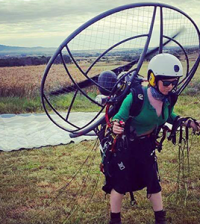 How, I thought, could someone like me – reasonably athletic but far from Insta-perfect, keen on surfing but still on a foamie – fit in amongst the golden, flawless Californians with their perfect pop–ups and coltish limbs? It turns out my hesitation was misplaced. 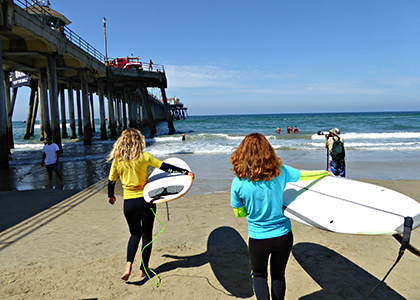 Hollister Beach – also known as Surf City – is a fabulous place, even for beginners like me, both to surf and enjoy the lifestyle. 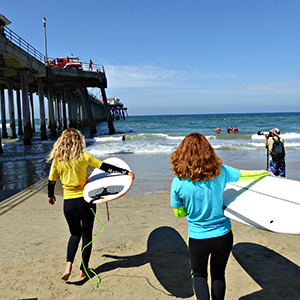 To my amazement, surf lessons with HB Surf School, run by former pro Bill Sharp, took place right by Huntington Beach Pier. Bill prides himself on getting everyone to their feet and his protégé Regan soon delivered on this. Catching a wave in such an iconic spot was worth the journey alone. 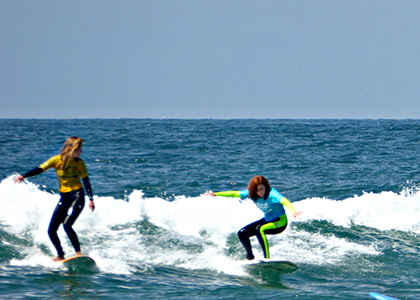 Beginners are well catered for, but Surf City, as its name suggests, has plenty of challenges for more experienced surfers, and there were plenty of waves for ambitious surfers. 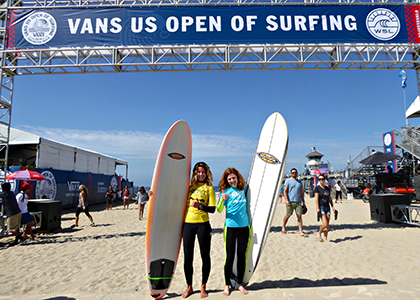 If you can time your trip to coincide with the VANS US Open of Surfing – the largest surfing competition in the world which runs for a week in July – then do. It’s part of the qualification process for the World Surf League and all the big names tend to be there. Brilliantly, it’s free to the public, and the best seats in the house – on the beach, right in front of the action – are open to everyone. There’s a massive VANS pop-up store, and you can win VANS stash with fairground-style games, enjoy a game of table tennis or just lounge around on outsize bean bags in the sunshine. I honestly don’t think I’ve ever been anywhere so chilled and cheerful. 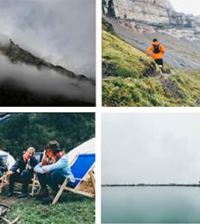 Everyone seems delighted just to be alive – and given the surroundings it’s hardly surprising. A street market with live music turned into an impromptu street party, with strangers dancing like nobody was watching. And as for the body beautiful culture, honestly, nobody cares how you look in your bikini. There’s so much flesh on view, the odd roll of flab soon becomes irrelevant. 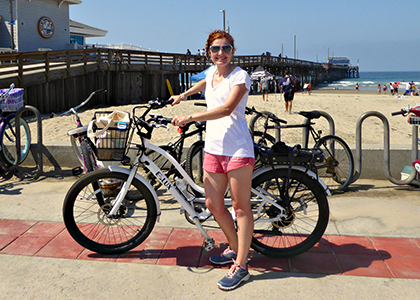 If you want a break from surfing but still want some exercise, hire an e-bike from E-lux – a power-assisted pushbike that is brilliant for getting about (and unnerving the regular cyclists as you whizz past at speeds of up to 24 mph. I went to Newport Beach (another Hollister favourite) and back in the space of a morning. Get your aches and pains massaged away at the Pacific Waters Spa at the Hyatt Regency Huntington Beach. After a 50-minute Pacific Massage I floated out with a rotator cuff niggle miraculously cured and my shoulders several inches lower. To complete the surfer look, head for Meleesa the Salon, where the friendly staff will braid your hair and fill you in on the local intel. 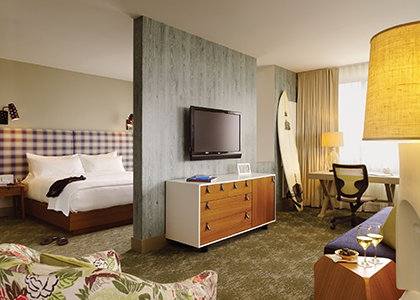 For boutique-style comfort with a hip surf vibe, the only place to stay is the Shorebreak Hotel, just across the road from the beach, with stunning views of the Pier from the super-comfortable ocean-front rooms. With table tennis in the lobby, a wine hour at 5, iced coffee on tap every morning, towels and beach chairs on loan and outdoor firepits where you can make S’mores with a kit provided by the hotel, the whole place sets you up to have a good time (if the moreish breakfast at its restaurant, Zimzala, hasn’t already done that). And I swear the lifts smelled of Hollister fragrance. 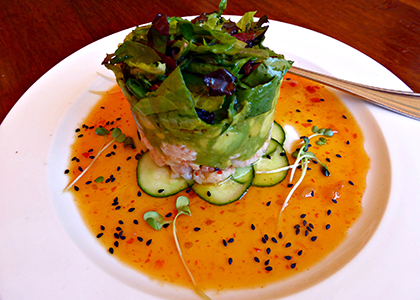 If you only eat out in one place, make it Banzai Bowls. 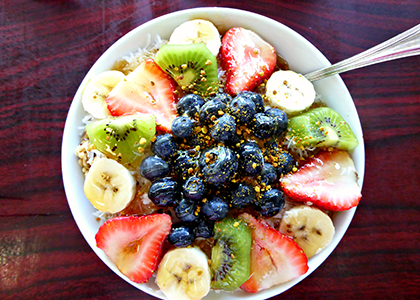 (below) Everywhere you go you see people clutching cups containing their signature acai bowl – acai smoothies topped with granola and fruit – and they’re a work of art. Also great for breakfast is Milk & Honey – don’t miss their lavender americano. It shouldn’t work, but it does. For an ocean-side lunch, Sandy’s Grill, right by the pier, is hard to beat, with flavour-popping local dishes and a life-changing S’mores dessert. Further along the coast, at Pacific City, deli-fans will love Saint Marc Pub-Café, with its bacon bar and carefully-balanced cheese platters. While you’re in Pacific City, if you’re a coffee geek don’t miss Philz Coffee where your personal barista comes up with your signature bean, ground for you on the spot. At dinner time, head inland to SeaLegs Wine Bar where there’s an award-winning selection of wine and well-executed classic dishes such as steaks and salads. If you want to dine overlooking the ocean, BLK Earth Sea Spirits combines a breathtaking sunset with an Asian-inspired menu. I flew with Wowair to LAX via Reykyavik, and hired a car from Hertz.